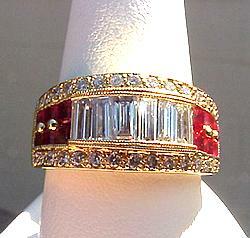 A beautiful ring set with 0.97CT TW of AA fine grade Burmese Rubies and 1.14CT TW of baguette and round brilliant diamonds of G Color, SI1 Clarity...these fiery stones are set in solid 18K gold! 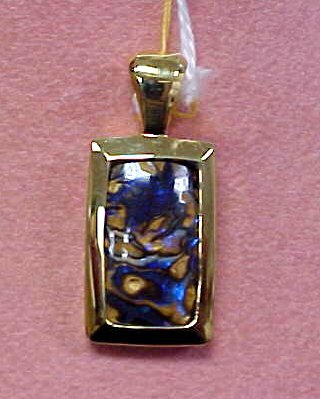 Beautiful freeform Australian Yowah Opal with dimensions 18 x 10mm and set in 18K gold! A truly unique pendant! 0.20CT TW round brilliant diamonds with a beautiful freefrom Opal 8 x 6mm in 18KW gold! STUNNING! This custom piece has been set in our freeform 18K gold mounting. 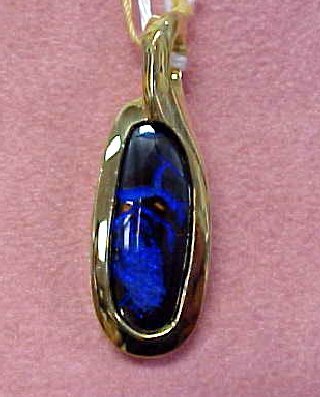 This Black Opal measures 20 x 8mm.! 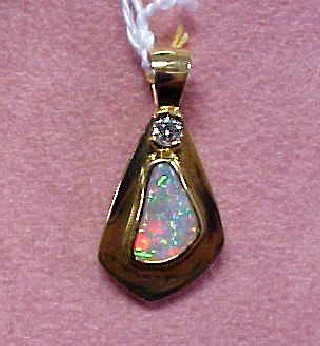 CUSTOM YOWAH OPAL PENDANT...We just completed this project in 14KW gold. 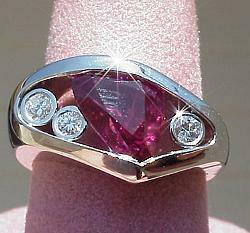 The mounting is a custom job from our goldsmith department. 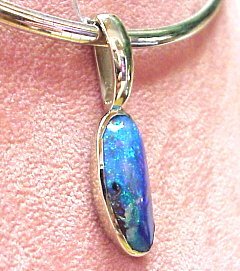 The Opal is a 14CT Australian "Yowah" Opal. 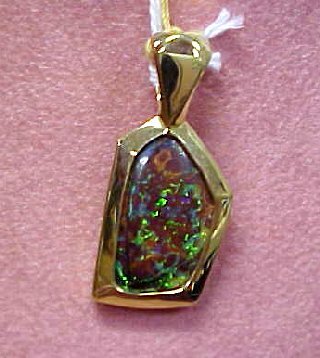 The Yowah Opal (the name derived from Yowah creek) has a colorful history dating back to 1875. Celebrated for its superior green Opal, they have become as desirable as the Lightning Ridge Opal. 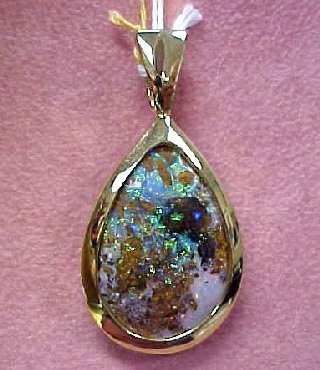 The Yowah Opal is also known for its hardness and is not prone to drying out and cracking as one will often see with crystal structure Opals. 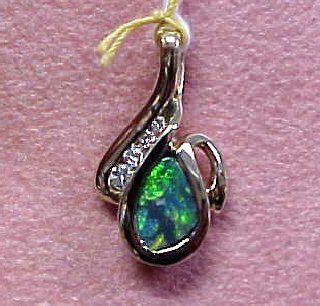 This wonderful green Opal has been in our collection since 1997. Please call with questions! 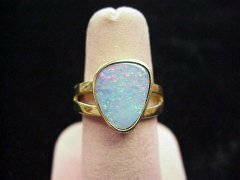 Opal and diamond (0.06ct total weight) ring. Superb color!! 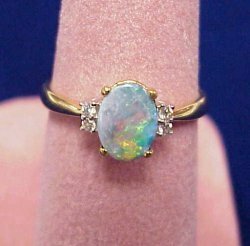 The spectrum of color will amaze you in this NEW Opal Ring mounted in 14K gold.